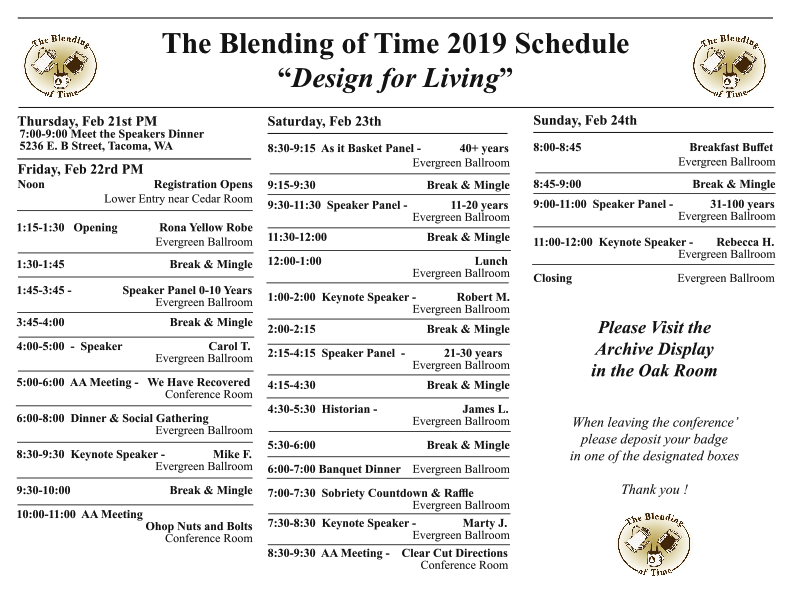 The “Blending of Time” is presented to help bring the newer member and the member with time and experience closer together, that they may share their experience, strength, and hope with each other to aid in one another’s recovery. The Speaker Panels allow people with a variety of time in sobriety to share their experiences with each other. Five minute speaking slots are open to all, but do fill up. Register today for the conference. Register early to get a speaking spot on the appropriate panel! Volunteers still needed. Vendor space still available.